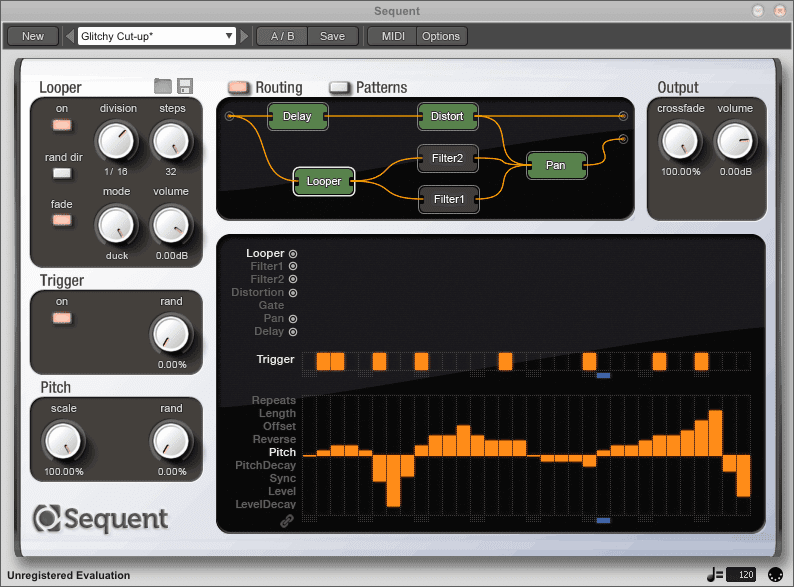 Sequent 1.1.2 for Mac OS X, Windows, and Linux is now available. Native 64-bit versions for Windows (VST) and Mac OS X (Audio Unit). Component Level Preset Support: create partial presets for each Effect. Effects in the Modular routing window now can be toggled on and off by double-clicking them. Unused Effects can be removed from the Routing window. Cables in the Routing window can be removed by right-clicking on them. A cable can now be created by dragging from an Effect's Input to another Effect's Output. Fixed: Gate Depth or Slew Time would jump to 0% when linking the Gate Depth or Gate Slew Time sequencer. Fixed: Editing the Delay Time Sequencer would sometimes cause the current Delay Time to change. Fixed: The same connection could be made multiple times from an Effect to an Output. Fixed: Rare crash could occur when loading several presets in quick succession. Fixed: Synced Delay time in the Sequencer window is now displayed correctly. Sequent 1.1.2 is available for Mac OS X (Audio Unit, VST, RTAS, and Standalone formats), Windows (VST, RTAS, and Standalone formats), and Linux (VST and Standalone formats). 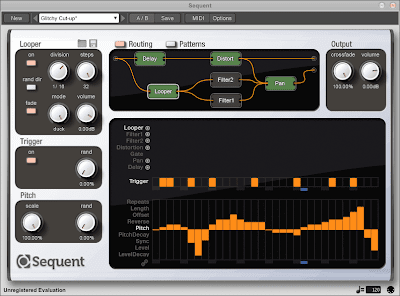 Download Sequent 1.1.2 here. will there be 64bit Linux versions as well? Absolutely, yes: Native 64-bit Linux versions are on the current development roadmap.